As Chief Operating Officer, Don is integral to every aspect of the business and is a member of the firm’s Executive Committee. In addition, Don acts as Project Executive for select client relationships, large-scale projects and principal investments. In his more than 30 years with Leggat McCall Properties, Don has held leadership positions in Development Management, Asset/Investment Management, Construction Management, and Property Management. Don has a background in various real estate product types and has managed a number of projects through various stages of execution; he has broad experience in acquisitions/dispositions, permitting, project finance and accounting, design and construction oversight, leasing and property management. 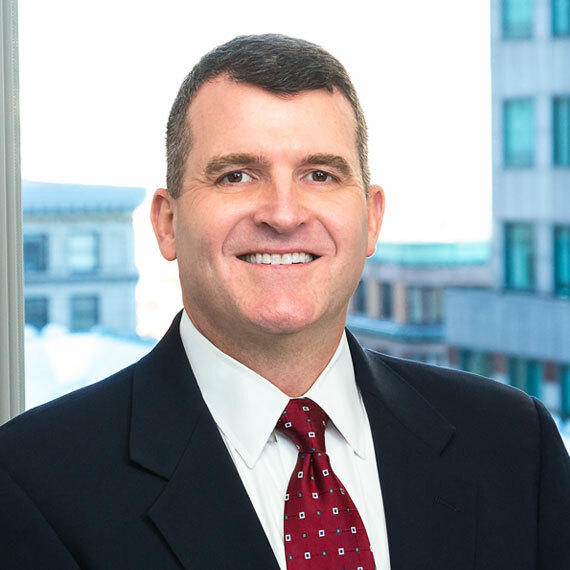 Prior to the sale of firm’s property management business, Don led the business unit and oversaw a property portfolio of more than seven million square feet in 32 properties located in five states between Boston and Washington, D.C. with a professional, facilities and administrative support staff of more than 125 employees. Early in his career, Don served as a Construction Project Manager, a Construction Project Estimator and a Property Manager.